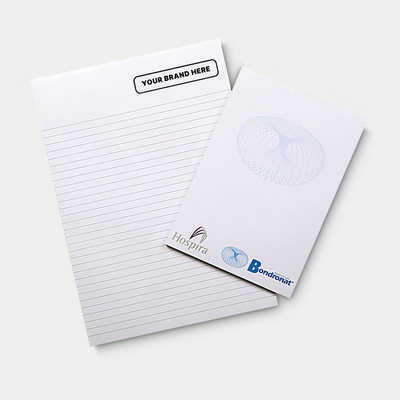 Note Pads available in A4 format. Printed in 4 colour process. The sheets are glued at the head and have a strawboard backing. This range has proved a highly successful and long life promotional product. 50 leaves per pad Stock: 80gsm white bond. Colours: 4 Colour Process, Dimension: 210mm x 297mm. Price includes : 7 Day Service 4 Colour Process - One Location. Setup is included.